In the same tradition as Raising a Modern-Day Knight, this book is designed to equip parents to cultivate strong relationships with their adolescents. Raising a Modern-Day Princess stresses the importance of creating a rite of passage for teen girls – a defining moment in which girls can be blessed by their parents and other godly adults in their lives. It’s a call for their families and communities to celebrate and support them as they enter womanhood. This book offers practical help in raising a generation of women to see themselves as God sees them-as daughters of the King. Sleeping Beauty, Cinderella, Snow White―how many girls, at some point, dream of being a princess like these fairy-tale characters? 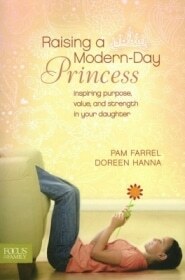 In Raising a Modern-Day Princess, authors Pam Farrel and Doreen Hanna come alongside mothers and mentors to offer practical help in raising a generation of women to see themselves as God sees them―as daughters of the King, true modern-day princesses. 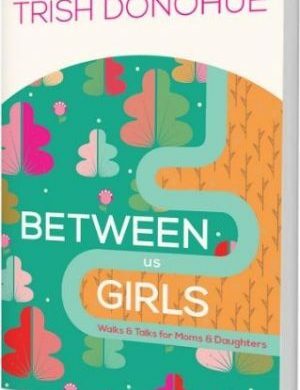 In an easy-to-use step-by-step style, the authors show moms how to create a fun-filled and life-changing rite-of-passage experience celebrating their daughters’ crossover into womanhood. 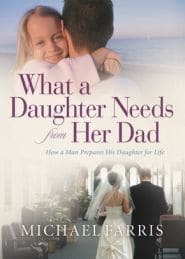 There’s also an entire chapter to help dads or father figures understand the vital role they play in their daughters’ lives. 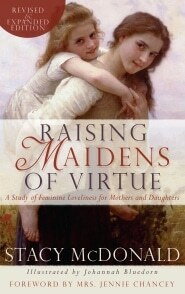 With personal stories and advice from real moms and daughters, this book speaks to the heart of every woman who longs to instill in her daughter a true sense of purpose, value, and strength. Pam Farrel is a relationship specialist, international speaker, and author of over 25 books. Having been a pastor’s wife and director of women’s ministries, Pam is now president of Seasoned Sisters. She and her husband, Bill, write a column on relationships and are frequent guests on shows like Focus on the Family. Pam is author of the best-seller Men Are Like Waffles–Women Are Like Spaghetti. Doreen Hanna was born and raised in East Los Angeles, California. Her life immediately had its challenges. She was rejected by her father as a young girl, yet chose to forgive and overcome that heartache. Doreen faced the challenge of living more than 20 years with the presence of alcoholism in her home. By God’s grace, saw the results of standing firm resulting in a loved one coming to sobriety. She managed an “all-girl” family full of high emotional drama! All she has faced called her to forgive, stand firm and graciously understand the emotional needs of girls and women. In 2000 Doreen founded Treasured Celebrations, an umbrella organization for all Modern Day Princess resources for teen girls and women. Her first signature program began with the Becoming a Modern Day Princess rite-of-passage curriculum. This 10-week journey provides insights for teenage girls to know what it means to live filled with purpose, value and strength.